Dr. Lashgari has an extensive interest in conditions affecting the shoulder and elbow. He joined the team of orthopaedists at The Orthopaedic & Sports Medicine Center in August 2002, coming from Washington University in St. Louis Missouri after completing a fellowship in shoulder and elbow surgery. 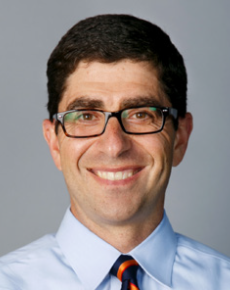 After graduating Phi Beta Kappa from Dartmouth College, Dr. Lashgari completed medical school at New York University in 1996 where he graduated with the Golver C. Arnold surgical award and honors from the Alpha Omega Alpha Medical Society. He completed his residency in orthopedic surgery in 2001 where he earned the Resident Teacher's award. Dr. Lashgari is a board certified orthopaedic surgeon and fellow of the American Academy of Orthopaedic Surgeons. Dr. Lashgari is a founding member of the Association of Clinical Elbow and Shoulder Surgeons (http://www.acess.co). In addition to an annual scientific meeting, this group of over 30 shoulder and elbow specialists from across the nation regularly review complicated shoulder and elbow cases through the discussion forum on their website. Dr. Lashgari is also a co-chair of the Mid-Atlantic Shoulder Surgeon Case Conference. This conference gathers leading shoulder and elbow surgeons in the mid Atlantic region together to review cases and the latest advances in shoulder and elbow surgery.